Reiki is versatile system which could be used by anyone as the base of health and meditations. It allows transfer of information from Reiki master to pupil. It allows to become Reiki healer and also to work on the distance. 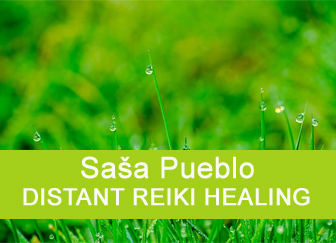 It has been 3 years while Sasa Pueblo accepted Reiki practice as the base of his investigation and meditation on the field of esoteric for last 25 years. And he can say that this was successful step. Ganglia are part of neuronal system in the human body, we have about 5 000 – 10 000, so nice amount. Ganglia are small clusters of neurons in the size of finger article or in the size of match header. They manage and give instructions for different organs activities and body parts. 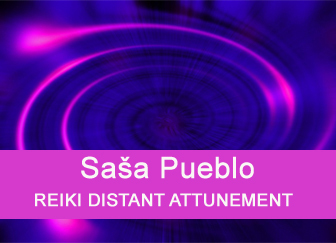 And here we uncover the research of Sasa Pueblo who opens the secret of Reiki. All Reiki consecrations direct here and from this point runs futher. 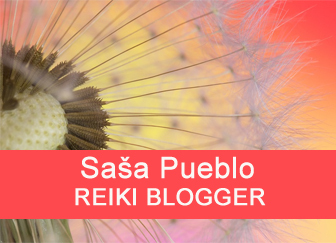 Sasa Pueblo gives us an overview what is Reiki, how it acts, how to get deeper into Reiki. He has fulfilled the prominse which he gave to Ladislav Hodek who spread Reiki over Slovakia. It´s pitty that he is no longer among us. WHAT IS CONSECRATION TO REIKI? Under consecration we understand the consecration of physical person on the place or on the distance – concentrated fundamental energy flows in ganglia human body system and then person who gives consecration could increase performance in Reiki by further consecrations of consecrated person. This level is about opening ganglia over whole body by Reiki master unless he is able to do so. Reiki master could be able to activate ganglia when he has all or part of his ganglia 5 times stronger or bigger. Only few Reiki masters have open all ganglia. Rather we find such Reiki masters who have active only some ganglia. Then is better to receive Reiki consecration from more Reiki masters. Estimation of ganglia in the human body could be from 5 000 until 10 000. Sasa Pueblo does not belong to those who have active all ganglia in the body, but he has found unique way how to overcome this handicap. This stays his secret. You can consecrate only if you have all ganglia 5 times more active as others or you find a way to overcome this situation. Two cases of Reiki persons who have 5 times more all ganglia. Olga Nefedova Borisovna has 5 times more all ganglia in the body. Once all ganglia are activated in your body or only the part of ganglia in the body. It´s better to activate all ganglia in the body. In the second stage energetic disc in the size of euro coin appears around ganglia. In this level Reiki achieves that aura around ganglia is changed to shape character. This is about flowing energy from ganglia in certain shape but not as orb into the area. After completing two degrees all ganglia have to be linked energetically into one unit. Energetic discs are connected to great unit. Such unit has the shape of your body. Ganglia in esotericism and mainly in chinese are connected and they are called meridians. Ganglia is called chakra in medicine or energetic point. As long as the energy around ganglia flowing in the form of signs then one sign appears for one consecrated person. In this stage actions are in aura around the body. Here aura is continually renewable bioenergy from cells surface. We can be inspired by Kirlian photography of hands and body aura. Look up such pictures on the internet. All discs around ganglia are grouped into 4 big discs over the body surface starting from chin through the chest and under the navel. They rotate energetically and they are modified to 4 moving characters in certain shape. And so you are able to heal other person by own energies directly on the place or on the distance. But be careful, because you give your own bio resources. Such treatment of others could harm your health. The best option is to use own energy only for own treatment. This level is about learning how to heal not by own energies but by energies from different biological sources as animals, trees and people. Reiki consecration generates such connections between consecrated persons within groups. Reiki people build up groups and connects own energies together. This is collective Reiki. Whole family could be connected and consecrated by Reiki. Such connection could be used to link people who provide Reiki voluntarily. Also such connection could be used to request people to contribute by own energy to heal and support others. This Reiki level follows previous Reiki leve 5/I. and expands Reiki consecration in direction to healing practises. This is how to apply healing principles as acupuncture, acupressure, pendulum, automatic drawing, alchemy, hermetism and other in Reiki. Here belongs also the consecration of Hawayo Takata who started to practise treatments into navel area within Reiki healing. There we have many forms of healing procedures as philippine healing, Silva therapies, hypnosis, SRT therapies and others. Here Reiki consecration is given to healing persons as treatment. Sasa Pueblo heals on distance and remakes the system how to gain lovegevity through Reiki even if the person does not have it in his destiny. This level of consecration is realized with the help of other persons who manage consecrations whether free of charge or for a fee. 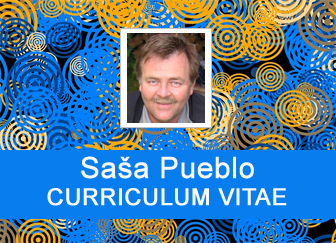 Sasa Pueblo is able to ensure vicariously any consecration from anybody. This is ability of sesible person Sasa Pueblo and his another ability to do astral projections by wandering mind as a shaman. Personally, Sasa Pueblo looks for various initiations throughout the world and also feels freshly consecrated persons. It is necessary to reach hundreds and thousands of initiations repeatedly. Here I just indicate how important is to get consecration for any price from any significant Reiki person. And such consecration could be done also from remians of Reiki person. Reiki disc remains in the tomb site. But how this happens, that is a secret. We collected for you worldwide web sites with provided Reiki initiation and distance healing. Try to make good use. Consecration in this level is done with the connection on individuals who work with meteorites during their life and connection of own knowledge base to consecrated person. Consecrated person partialy connects own bioenergy with energy of persons who work with meteorites. How is this consecration done remains secret. You will understand when you´ll get such consecration. This level of consecration is the result of activities around meterorites, pitchblende and cosmic radiation. Consecration directs to bones and bones ganglia, fat and fat ganglia. Consecration is provided to Zen, Zazen, wisdom, top memory. Here are also techniques of Brahma from fat and their genius in such direction. This is also about kabbalah techniques but also one brian techniques. So intellect and Reiki as artificial intelligence. Top level of grandmaster couldn´t be gained without the change of own programs in the brain. And futher is secrect. Sasa Pueblo practises in his inside these systems for development of bio artificial intelligence created in own neurons. Then follows next level which requires extensive experiences with monstrances from the person who gives consecration. So energies from monstrances are inserted in Reiki discs. Such consecration follows mystical resurrection of Jesus Christ by padre Pio. But how this works and how this is done stays our small secret. You will understand when you receive consecration and when you will have experiences of the person who gives consecration or better experiences of healer. In this level, Reiki discs will contain energies of fetus and female eggs which almost die or energies of fetus after abortion. These aren´t energies from women and children. This is not working. Energy flows into 4 discs in aura and creates something like light streams of energies. How this whole working will stay as secret. Incorrect practising can be harmfull for health. 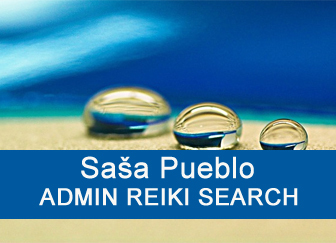 Sasa Pueblo knows mainly women who does Reiki but they are not practising such Reiki correctly. Reiki consecration 8/I. has one unconventional continuation and it is Reiki 8/II. This is such beautiful Reiki which goes even beyond life. And it’s more about what can be when we will not be here. Here we have realised great religious idea: Jesus as the concentration of all angelic realms and beings. And such idea is practically implemented in Reiki. Here Reiki consecrates into thymus gland over the whole body. Also affects ganglia and builds itself as a concentration of all angelic beings. This is mystical Reiki where you try to resurrect the example of Padre Pio and through him historical person from Israel. Practises of this kind of Reiki are essentially publicly known. This level and this consecration is about 4 discs in aura and applicability any other meditation system, religious system, alternatively shamanic sytem or other specific system of different Reiki persons within such system. In this case Reiki consecration has to be done into bones and such consecration is uniquely stored here in bone brain. Sasa Pueblo stores each system which comes across the Internet in his bone brain. In this step, the initiation relies on the human brain with paralysis or brain damage from birth and extreme activities of the spinal cord. This includes Shamballa Reiki or a state of near poltergeist – haunted houses and states. How is this initiation practised remains for you in the state of secrecy. You might understand in time. These are already, of course, extreme Reiki initiations. So this level can manage only Sasa Pueblo personally. This is the activation energy object in the middle of the chest. This object can be seen only by prophet and sensible person. This is the basis of Reiki practiced in ancient China and directly vanished in Tiantai school. In the middle of the chest will be transferred rotating disc with the amount of unique energy. And how this is all done? So it will be a big secret. 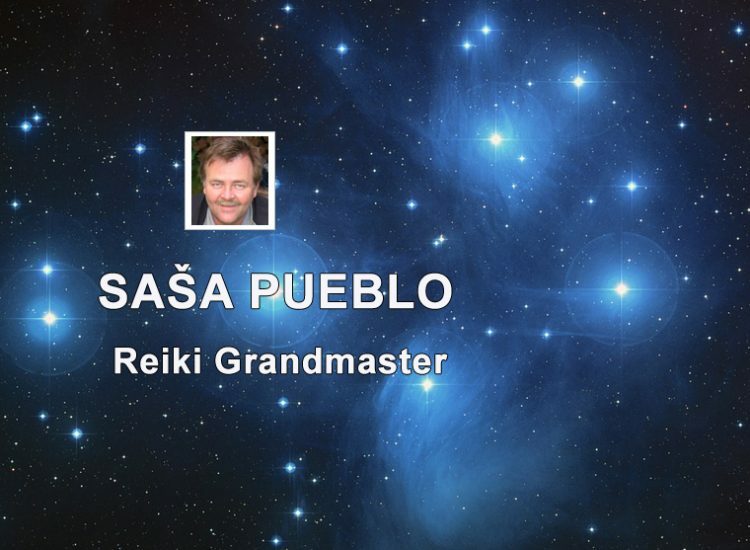 Sasa Pueblo thus becomes a living Reiki Grand Master. This allows him to be part of defunct Chinese Tiantai school and he brings it into a living form of Reiki. Do not confuse with Japanese schools under a similar name, the school Tendai. And we are on the top of Reiki school and here Reiki absorbs SRT system in itself and evolutionary medicine. This medicine defines 200 – 300 prehistoric structures in the human body. Those prehistoric structures are formed during embryonic development in the mother. Consecration goes through the skin where everybody has spare placenta. It´s necessary to activate this placenta and also inactive prehistoric structures inside consecrated person. And here Reiki consecration will be long series of more then one consecrations because it´s impossible activate prehistoric structures by one initiation. This level is about unique techniques how to activate the state of emergency in treated person. It is about activation parotid gland in treated person at distance. Some people form magnetism in their fat cells and use them to act on treated person. Then here is the possibility how to influence treated person through people who form in fat cells something as metal beads and other objects. Next possibility are persons who have inside of themselves overgrown twin. Then other option is opening the flow of special healing substances in the fat of pelvic area which is called prana. Particularly the special distance treatment through the pupil within iris eye diagnosis.